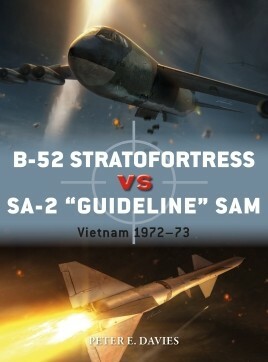 The losses of several of its most feared, powerful and supposedly invincible bombers per night to a torrent of Soviet missiles during the closing stages of the Vietnam War was sobering to Americans, but the B-52s' crushing attacks virtually eliminated North Vietnam's defences and forced a peace settlement. This fascinating book analyses the roles of the SA-2 operators and the B-52 Electronic Warfare Officers (EWOs) using specially commissioned artwork as well as first-hand accounts, and traces the cat-and-mouse tactics that each side employed. 80 pages.